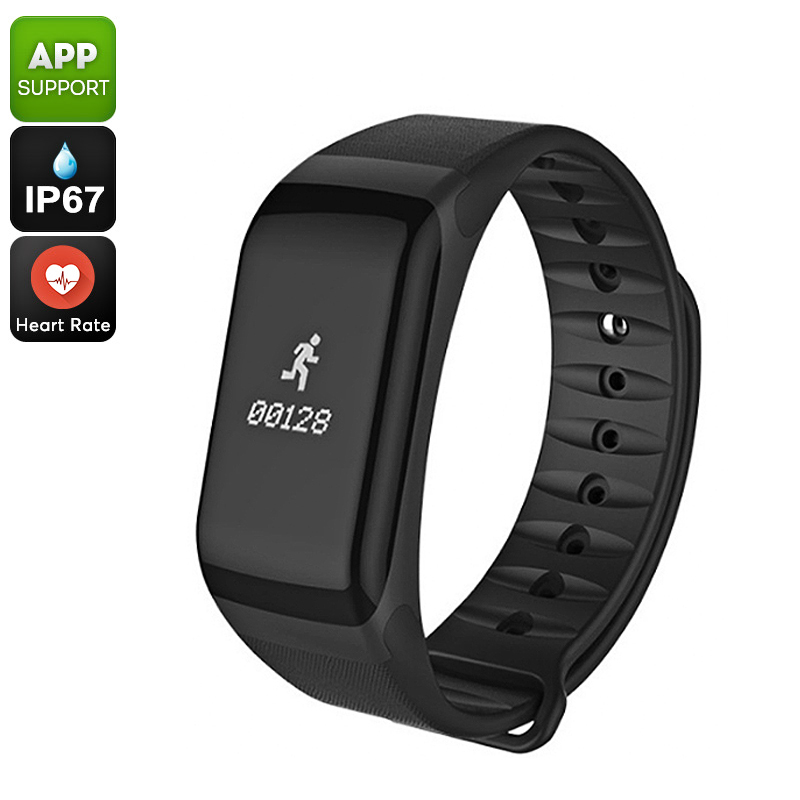 Successfully Added Fitness Tracker Bracelet - Pedometer, Distance Counter, Heart Rate Monitor, Blood Pressure, IP67 Waterproof (Black) to your Shopping Cart. Stay fit and healthy thanks to this beautiful fitness tracker bracelet. With its TPU strap and lightweight design, this sports bracelet is comfortable to wear throughout the day. It supports Bluetooth 4.0 which allows you to efficiently synchronize it with your iOS or Android smartphone. When done so, you’ll be able to use it with the dedicated mobile Application in order to get a clear overview of your daily activity levels. Additionally, you’ll be treated to call and message reminders to make sure you’ll never miss out on an important update again. With its IP67 waterproof body, it follows you anywhere you go. It comes with a powerful 80mAh battery that brings along a whopping 120 hours of usage time on a single charge. This fitness tracker bracelet features a pedometer to keep track of the total number of steps you take throughout the day. It furthermore comes with a distance counter, heart rate monitor, and blood pressure sensor. With all these features at hand, you’ll be able to analyze your health and stamina while working towards a healthier future. This sports bracelet will help you reach the fitness level you’re always dreamt off. With its sleep monitor, it even makes sure you’ll get enough rest in between your workout sessions. This stimulates fast recovery and helps you reach your goals in the most efficient and healthiest way imaginable. This sports bracelet comes with a 12 months warranty, brought to you by the leader in electronic devices as well as wholesale electronic gadgets..
Arabic: - سوار تعقب اللياقة البدنية - Chinese Simplified: - 健身跟踪器手镯 - Czech: - Fitness Tracker náramek - Danish: - Fitness Tracker armbånd - Dutch: - Fitness Tracker armband - French: - Bracelet de traqueur de remise en forme - German: - Fitness Tracker Armband - Hebrew: - צמיד המעקב כושר - Hindi: - फिटनेस ट्रैकर कंगन - Italian: - Braccialetto dell'inseguitore fitness - Japanese: - フィットネス トラッカー ブレスレット - Korean: - 피트 니스 추적기 팔찌 - Malay: - Kecergasan Tracker gelang - Norwegian Bokmål: - Fitness Tracker armbånd - Romanian: - Fitness Tracker brăţară - Russian: - Фитнес Tracker браслет - Spanish: - Pulsera de fitness Tracker - Thai: - สร้อยข้อมือในการติดตามการออกกำลังกาย - Turkish: - Fitness izci bilezik - Vietnamese: - Vòng đeo tay theo dõi thể dục.